Get UNLIMITED Placement Calls for 6 Months !!! Hurry Register Now. Exclusively for Freshers. Get UNLIMITED Placement Calls for 6 Months !!! Hurry Register Now. Get Unlimited Placement Calls for 6 months from TOP IT companies for technologies like Java, PHP, DotNet and Software Testing etc. ONLY & Exclusive for Freshers...!!! 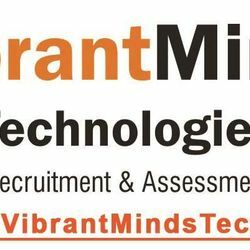 VibrantMinds Technologies, Pune would like to invite you for our Premium Placement Service, where we provide specialized placement assistance to Fresher jobseekers with Unlimited calls for 6 Months....!!! Once you register with us, we will provide you premium placement services for 6 months- UNLIMITED. You will get Complete Placement Assistance with Unlimited Calls. Register and Start Your Placement Assistance Now.....!! !